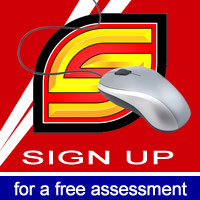 Secure Rite is a local Security Company serving the Helderberg in Crime Detection and Prevention since 1994. Our Mission is to make this Community a safer for all. As part of that objective, we have a vested interested in the local Neighbourhood Watches. Secure Rite Security resolves to be the preferred professional security services provider in the Helderberg by offering prompt, efficient and excellent Service, by understanding the unique needs of our Clients, and by working to only the highest standards as stipulated by The South Africa Intruder Detection Services Association, Psira, and the Insurance Industry. The Company is owned and managed by members of this Community, invested in this Community. 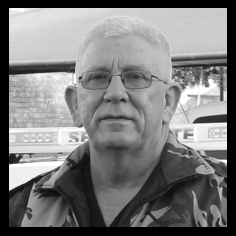 A well known figure in local security circles, Herman and his highly trained team of Armed Response Officers, ensures that our response service is swift and no-nonsense. That said, we take pride in the warmth and genuine friendliness of our Officers under Herman’s leadership. When not out and about in one of our Ford Figos (please hoot! ), Herman can be found manning braai tongs, ensuring that our Officers have a chance to connect and enjoy each others’ company as a tightly knit team. 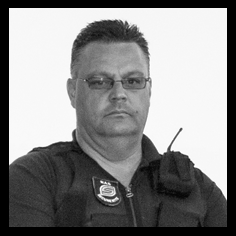 Commander Engelbrecht brings the perfect balance between Discipline and Warmth in overseeing his large team of Guards, many of whom have come a long way alongside him, all the way to Secure Rite. With his heart for our Community, Willie is key to the Company. Willie can often be found behind the wheel of an Armed Response vehicle, at all hours of night, carrying out targeted Crime Prevention Patrols with colleague, Herman Ras. Part of the Secure Rite furniture for quite some time now, Selma ensures that our Operations Centre is efficiently manned 24 Hours a Day, 7 Days a Week. 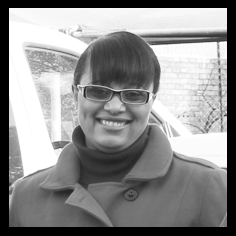 When not keeping a watchful eye on her team of highly trained Controllers, Selma applies the same kindness, efficiency and calm which she brings to her work role, to her role as wife and mum raising her three lovely children. If it’s an Account query you have, then Peter’s Team is most certainly the one to talk to. Always helpful and warm, Pete has been with the Company long enough to know everything about everything. For a Bean Counter, he certainly does not fit the mould: when not managing Secure Rite’s Financial Affairs, Pete is likely to be found on the West Coast, fishing and diving. Or hunting. Or studying rocks. And if you need to know anything about our local wines, he is a great source of information on that subject also. 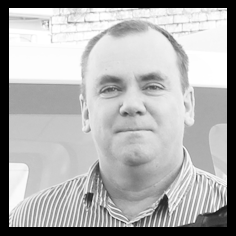 Technical & Sales Manager, Piet van RensburgWith more than 30 years’ experience in the industry, Piet has just about covered every facet of the business from wireman right through to Management in a number of international security companies. He has been associated with Secure Rite since early 2000 and we finally won him over to our Team in 2014. He has his finger on the pulse and with his endless experience and wisdom, enjoys ensuring his teams stay motivated and trained. He continues to interact with clients on a daily basis ensuring our service is top class at all times. In his spare time he enjoys fishing in which he has obtained his Western Province colours as well as hunting, and keeps our team entertained with his story telling and jokes. Owner-Manager Craig Austen is hands on. For down time, he can be found ensuring that his True Krav Maga students are kept just as fit and highly trained as his Armed Response team are (and yes, even his Management Team is put through it’s fitness paces!). From time to time, he manages to take some time off with his family and catch a wave or two. His better half Kathy, is the creative force behind popular local business Wonky Wines, and Secure Rite’s Secret Weapon. Chris Jacobs has been involved in the Industry for over 30 years now. Starting out as a Security Consultant for De Beers in Kimberley, Chris co-founded the very first Monitoring and Armed Response Company in that area. On relocating to the Western Cape, he then started Secure Rite in 1994. Having now handed over the Operation to Craig, we still make sure to keep him very involved. That is, when we are able to entice him from off of his Paraglider. We are just not quite willing to let go of his expertise and experience yet.